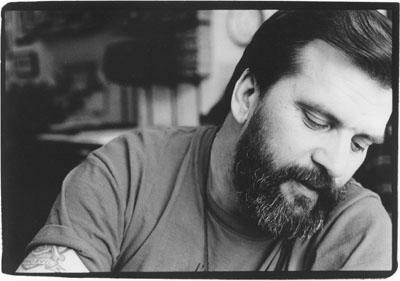 Steve Earle made his name early and adeptly on both sides of the singer-songwriter label, dropping out of ninth grade to study the music business, moving to the heart of country in his twentieth year after a hard-scrabble teenage musician’s life in Houston to pen mid-career hits for Carl Perkins, Patty Loveless, Johnny Lee, and others in the Nashville scene, all the while making his own path through the wilderness of rockabilly, country, and folk. Throughout, he emerged as a poet and political activist, even as he struggled as an outlaw and an addict, and Wikipedia is right to suggest that these origins are intertwined, in no small part because, as a struggling young songwriter, he was too young to play in bars and clubs, and was thus forced to find a place for himself in the liberal coffeehouse scene of the late sixties and early seventies “alongside anti-Vietnam War campaigners”. It’s notable here that although Earle has been in the running for 14 Grammys since his first pair of nominations for Best Country Song and Best Country Male Vocalist in 1987, he has won only three, all in the Contemporary Folk category, and all since the mid-2000s, starting with Best Contemporary Folk Album for his 2004 anti-Iraq War collection The Revolution Starts Now. Though the drift from one genre category to the next speaks simultaneously to Earle’s own changing artistic sensibilities and a parallel drift in at-large genre definition, surely, even the most apolitical of scenewatchers could not deny that the increased stature which has resulted from his increasingly political work as a musician and the generally liberal pro-activist mindset of the Academy at large has also affected the voting in these categories. But to judge Steve Earle primarily on his recent grizzled appearance as a cynical grey-bearded prophet on The Wire and Treme, or on the overtly politicized music which has won him praise and admiration in the last decade, is to miss out on the 35 year career of a broad-minded, clear-spoken musician deeply involved in the business of crafting songs that speak to the whole and various caverns of our hearts. From his early work alongside Texas troubadours Guy Clark and Townes Van Zandt to mid-career collaborations with Emmylou Harris, T-Bone Walker, and other luminaries working the Americana spread, his total artistic output represents a breadth of genius easily equal to such collaborators. Happily, his peers have not missed out, and though they sometimes find anger where it is warranted, the deeper catalog they mine contains hope and harrow enough. Which is to say: Steve Earle is well-respected for a reason, and though his politics have surely helped its spread, his songbook is not merely repeated because of any political affiliation. There’s love, here, and loss too: of the wistful, Texas country type, and of something deeper, stiller, that springs eternal even as it mourns the closeness of winter. You can hear it in the songs and performances alike, making for an apt tribute in folk. Looking for more? Though today’s feature subject has covered plenty of songs himself in his four decade career, my lifetime dream of producing an album of second-generation musicians covering the songs of their parents is too tempting a project to ignore in these circumstances – most especially because, despite being left with his mother as a toddler in 1984, the second-gen artist in question has since shared stage, addiction, and fame with his famous father, thus proving the viability of such a project. 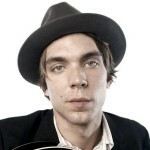 Hence our bonus tracks today: a few choice selections from the recent work of Justin Townes Earle, whose proud continuance of the family name has sparked the indiefolk ear since his first album dropped in 2007. Shelby Lynne Covers: Johnny Cash and Dolly Parton plus covers from Allison Moorer, Steve Earle, and Cash, too! Just a few days left to win an autographed copy of Just A Little Lovin’, Shelby Lynne’s new acoustic country tribute to the songs of Dusty Springfield! To tempt you a little more, today we’re featuring a pair of older covers by this perpetually on-the-verge singer-songwriter, plus a matching set by her equally talented sister Allison Moorer. If Shelby Lynne was pure contemporary country, you’d not find her here on a coverblog devoted to folk music. But though she’s made her share of slick pop country albums, since the confessional turn of 1999 recording I Am Shelby Lynne, which garnered her a much-belated Grammy for Best New Artist in 2001, Shelby Lynne no longer considers herself a country music artist in the same vein as Carrie Underwood or Shanaia Twain, and it’s not hard to see – or hear – why. The relationship between country music and folk music is complex, especially since the advent of alt-country. In one way, it’s true, for example, that bluegrass is to country as folk and blues are to rock…but it is equally true that bluegrass, folk, and the more traditional forms of country music share more with the modern alt-country movement, and more with each other, than they do with the kind of pop country that makes the crossover to what’s left of the mainstream radio spectrum. It is not necessary to reconcile these parallel truths in order to enjoy Shelby Lynne’s wonderful new release Just A Little Lovin’. That’s not to say it defies categorization, necessarily; if anything, with a few powerful exceptions, this is both a sweet in-genre tribute to a seminal 60s-era pop-folk artist and a sultry pop record, in the same vein as KD Lang’s later work, or the best of Diana Krall, if a little farther South, geographically speaking. But where Lang and Krall slip too easily into softpop torch songs, Lynne’s choices on this powerful collection of Dusty Springfield covers span a wider, warmer spectrum, from the piano bar ballad to the smooth bass-and-snare jazz trio to the pulsing, driving alt-country of Lucinda Williams or Michelle Shocked. It’s all good. At its best, in cuts like the dark, bluesy Willie and Laura Mae Jones, or the deep, slow jazz of the title cut, Lynne’s delivery bleeds raw at the edges, creating a nuanced, powerful, mature balance between vocal control and roots-ragged empathy. Her ability to truly reinterpret Dusty is both honorably unique and, on an emotional level, uncannily accurate. And the stripped down acoustic instrumentation, heavy on the languid piano and acoustic guitar, supports this sound exceptionally well. I’ve been asked not to post tracks from Just A Little Lovin’ until Tuesday, the album’s official release date; as we come to the end of our contest, I’ll able to share a few tracks to tempt you one more time. Happily, however, Shelby Lynne’s previous coverwork is diverse enough to speak to both the complicated relationship between folk and country, and the overwhelming power of this Grammy-winning vocalist at her interpretive best. Here’s two of my favorites: A truly country Johnny Cash cover, and an absolutely stunning folked-down version of Dolly Parton’s The Seeker which hints at her work-to-come. Interested in hearing for yourself? Hedge your bets: pre-order Just A Little Lovin’ directly from the fine folks at Filter, and enter our contest to win an autographed copy! You almost never got to hear of Lucy Kaplansky: An 18 year old member of the early 80s new folk movement, she made it as far as plans for a recording venture with Shawn Colvin, only to change her mind at the last moment. For the next decade, Kaplansky continued to do light session work, most notably as a backup singer on early Suzanne Vega albums, but spent most of her time plying her newly minted PhD in Psychology as a therapist in New York. It was a hard loss for the folk community: her voice had been a sweet standout in the crowd even then, as evidenced by Fast Folk recordings from the era. Thankfully, in the mid 90s Lucy came back to the folk fold. Since then, though she still supposedly sees patients, she’s produced six absolutely incredible albums, chock-full of masterful songwriting. It’s tempting to see her therapist’s eye in her lyrical tendency towards storysongs of family, the lifestruggle of generational difference and the passage of time, the closing of distances metaphoric and real. But regardless of the source, there’s nothing like her ability to find the right pace for a song, the right tone for a line, the right note of etherial melody for a story. Kaplansky remains in high demand as a backup vocalist for fellow folkies on the road or in the studios; her pure voice and New York accent can be heard on almost every Colvin, Shindell, Nancy Griffith, and John Gorka album. Her ear is incredible — I’ve seen her on stage with a good half dozen performers, and she seems to be arranging her harmonies on the spot, making good songs great with a subtle yet powerful touch. But though in concert she tends to focus on her own stunning songwriting, Dr. Kaplansky’s cheerful delight at singing and arranging the tunes of others translates to her own recordings, too: her albums tend to come in at about one-third covers, and her taste is impeccable. Over the last thirteen years, she has come to be known as much for her sterling interpretations of the songs of others as she is for her own material. 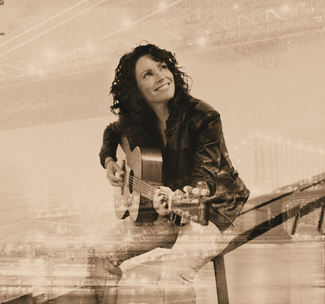 You can hear more Lucy tracks at her website, but every single Lucy Kaplansky album from 1994 release The Tide to this year’s Over The Hills belongs in your collection, and you can buy them all direct from her label Red House Records. So do it. Period.